TOUCHED BY AN ANGEL: Heres Wellington ! Hi everyone i hope you are all enjoying the gorgeous weather we are having right now , whilst my hubby has been hard work in the garden i myself have been hard at work playing with craft stuff , oh its a hard life being a crafter right ??? lol . Anyway as well as sorting out and tidying up my stuff i did find time to create this little character and i hope you like him . And heres how i made it ! I used a card blank shaped at one side and stamped the Wellington image onto it using black archival ink pad , i then inked around the image with Tom Holtz distress inks in wild honey and tea dye . Next i coloured in Wellington in his armchair using a selection of promarkers and used Staedler fineliner pens to add a little finer detail . 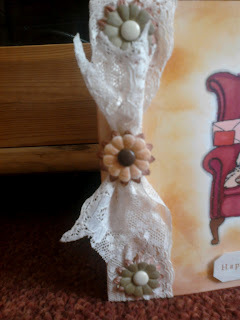 I then tied a piece of creamy coloured lace around the card and added the flowers wich i put together with a brad in the middle of each ( all from Papermania ) and attatched them to the the lace using red double sided tape . To finish i popped on a happy birthday sentiment from the Wellington range and and stuck on a piece of card candi to the right point . 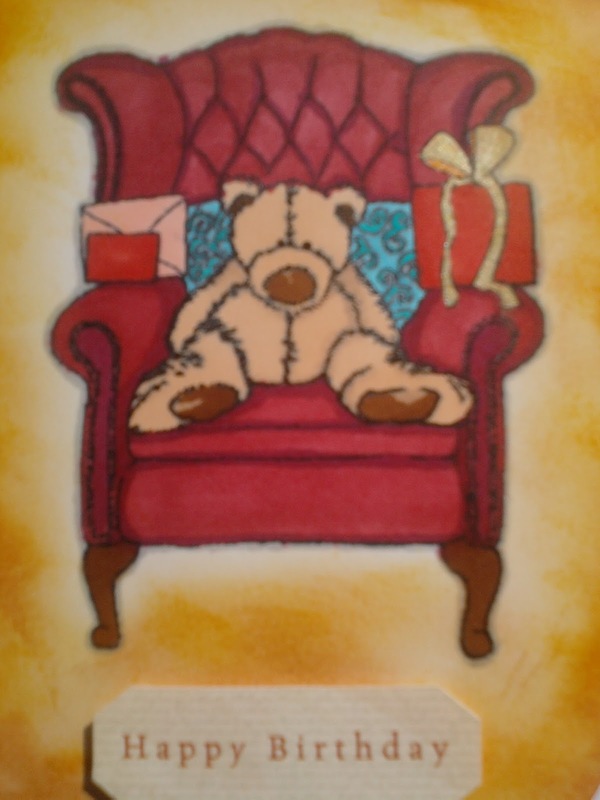 I love this little character and have enjoyed creating this card and im going to be producing more from this gorgeous range soon ! A very cute card, just want to give hime a cuddle. This is fabulous Tina! I love the colours and the lace is gorgeous. Gorgeous card and such a cute character. I love the way you've embelished and put the card together. 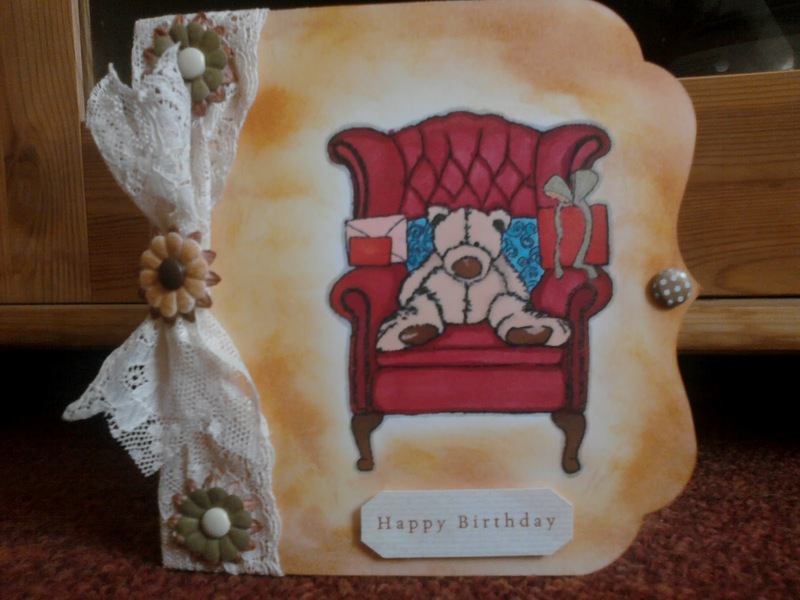 What a gorgeous card as always Tina. Love the shape to one side it really makes you look at the card. You have such talent so keep making beautiful stuff for us to look at!